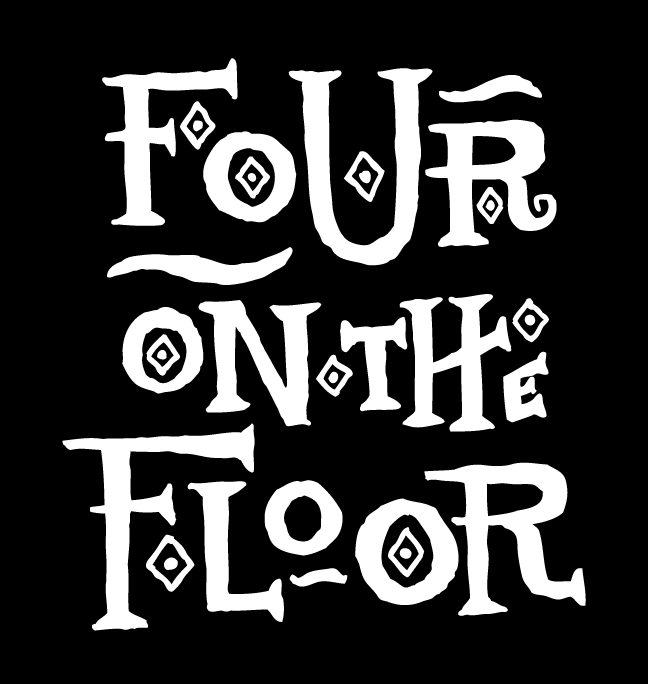 FOUR ON THE FLOOR: Eric Binder "10 Snare Drum Etudes for Improvisation, Vol.1"
Eric Binder "10 Snare Drum Etudes for Improvisation, Vol.1"
Without a doubt we all need to spend time working on our rudiments and snare drum technique. As I always stress to students in lessons and in workshops, the snare drum rudiments represent an important foundation for what we do as drummers. However, assembling these patterns into practical and meaningful musical phrases can be a stumbling block for many. Books like Anthony Cirone's "Portraits in Rhythm", Charlie Wilcoxin's "Modern Rudimental Swing Solos and methods from the likes of Alan Dawson go a long way to address this. However, given the solutions that already exist, further resources are always welcome as well. Fortunately for us, Eric Binder is releasing a new book of snare drum etudes (the first of many, from the looks of it) and he was kind enough to take time out of his busy schedule to answer a few questions about his recent book. Check it out! 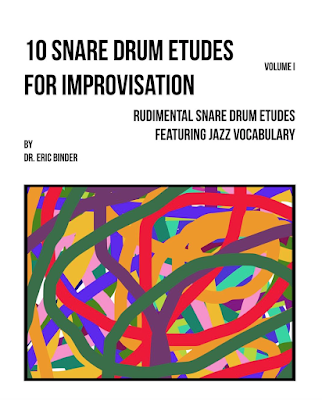 "10 Snare Drum Etudes for Improvisation, Vol.1"
1) Tell us all about your book! What is it all about and what are the goals of your text? This is a snare drum etude book that uses rudimental jazz vocabulary to create snare drum solos meant to begin students on their journey to gaining greater facility necessary to improvise in a jazz setting. This is the first book of the series so it is approachable for any drummer. In the later volumes, there will be more dense jazz vocabulary in the style of Philly Joe, Art Blakey, and many others. 2) What was the motivation and inspiration for putting together this method? My motivation for this book was mainly my students and conversations I’ve had with other teachers. One of the most common things I get asked is, “I learned my rudiments, now what do I do with them?” My first response is always directing them to records, but so few students really LISTEN and actually take away what’s going on. In my etude book, I give students phrases using common rudiments. 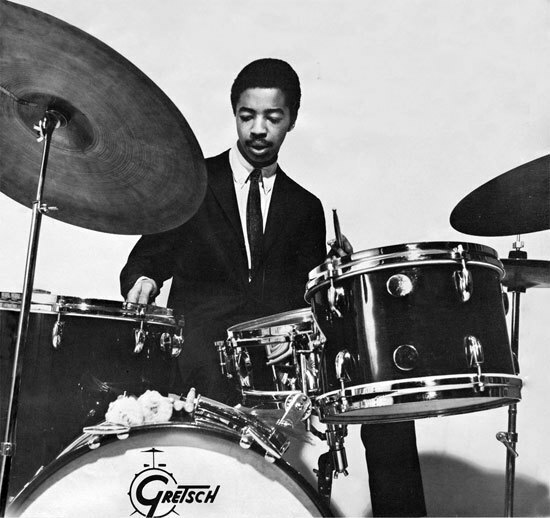 As you will see when playing these etudes, much of the rudimental ideas are just common jazz vocabulary reminiscent of Elvin Jones, Baby Dodds, Roy Haynes and others. 3) How does your book differ from other snare drum method books currently on the market? What makes it unique? My “go to” snare books are Modern Rudimental Swing Solos (Wilcoxon) and Portraits in Rhythm (Cirone). I also use Smitty’s Rudimental Ritual. While these books are absolutely incredible and invaluable, most students seem unable to connect the material to improvising on the drum set. I feel that my approach to writing these etudes and the ways I direct students to play them make my method different. 4) How do you recommend students and teachers approach working through your materials? The first thing for students to do is learn the material at the marked tempi. Some of these etudes can be quite challenging if you don’t have your hands together. I say it for this book, but I ALWAYS say it - PLAY WITH A METRONOME. Students should first play through with the click on all four beats, then just two and four, then one click per measure, and eventually one click every two bars. These etudes are best utilized when playing them with hi-hat on two and four and bass drum “feathering” all four beats. They really feel like a “solo” at that point. 5) What are some of the challenges of putting together a drum method book? What advice do you have for anybody potentially interested in publishing their own book? Putting together any major work whether it be a method book, composition, or thesis is a major undertaking. There are so many small steps that people do not realize, and each step must be precisely executed. Luckily, this past year I just completed my dissertation which prepared me for the task of writing this method. It is a learning process still and I have already begun work on other book projects. To anyone looking to publish, I suggest reaching out to someone who has published before. Thankfully I had some wonderful insight from saxophonist Adam Larson. There are just so many idiosyncrasies about publishing a book.